Asset splitting: should Catalonia take over spanish air and naval systems? As Catalonia moves towards a restoration of her sovereignty, one of the practical aspects to be discussed with Spain is the apportioning of her assets and liabilities. Madrid cannot repay her national debt on her own, so it is unthinkable that she will not recognize Catalonia. The alternative is Madrid’s default. However, it is not just bonds that one has to talk about. A debate is currently taking place in Catalan national security circles concerning the shape of the country’s Armed Forces, and one of the issues is to what extent to rely on Spanish assets inherited as part of the deal on Spain’s national debt. Some voices would prefer a clean slate, and point out that Spain has often failed to properly maintain and modernize her equipment, a result of her fixation with threatening Catalonia and corresponding dereliction of duties towards NATO. They add that current technological and doctrinal changes may have rendered some of those assets obsolete. 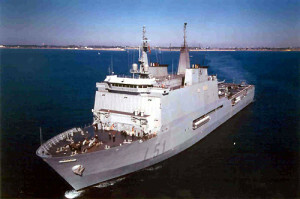 Some other voices see the assumption of certain assets, in particular air and naval systems, as serving a number of purposes, speeding up the building of the Catalan Armed forces, reinforcing NATO expeditionary capabilities and European support for the Pivot to the Pacific, and reducing the threat to Gibraltar and the Falklands. 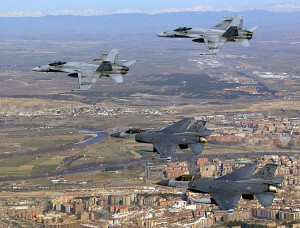 In order to examine this, we have asked Alex Calvo and Pol Molas to provide a brief overview of some of the main arguments in favor and against of taking over some key naval and air assets from the Spanish Armed Forces, as part of a wider deal involving the apportioning of the Spanish national debt. This deal is a necessary condition for the survival of the Euro, since a Spanish default would mean its end, something the European Union cannot allow to happen. The reconstruction of Catalonia’s Armed Forces is not taking place in a vacuum. Rather, just like the wider resumption of sovereignty by our country, it is sure to have a significant impact on Europe and the Atlantic Alliance, as well as in Spain proper. Admitting in principle that Catalonia should not simply take over any military asset from Spain, regardless of its value, our choice on which systems to include in the agreement on the apportioning of assets and liabilities may not be completely free, or restricted only by the needs of Spain proper’s Armed Forces. There are some reasons for this. First of all, the international community may be concerned about Spain’s viability. The country is already effectively intervened by the European Union and the IMF, and has repeatedly promised to implement deep economic reforms (which, however, are unlikely to take place until she no longer has access to Catalan taxes, as MEP Ramon Tremosa has often explained). While Madrid is already trying to sell a significant number of military assets, or to transfer existing contracts to third parties, it is not clear whether she will be able to complete this before Catalan independence is formalized. 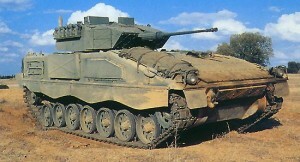 Media reports have extensively referred to, among others, the possible sale of Leopard tanks to Saudi Arabia and Peru, and also to the negotiations with third countries to have them buy the 14 Airbus A400M transport planes that Madrid is no longer buying but is contractually bound to take. Should these plans not be completed, Spain could end up sitting at the negotiating table with more assets that she can realistically maintain, while on the other hand national pride (and pressure from her domestic defense industry) may force Madrid to insist that she can. In that case, the international community may press Catalonia to take over some of these assets in order to allow Spain to start walking with a lesser burden, while giving her leaders a face-saving formula when confronted by public opinion or their own military. Furthermore, the current negotiations between Madrid and Buenos Aires for the transfer of some 20 Mirage F1 have prompted concern in the Falklands. While these planes are 38 years old and would mostly be used to provide spare parts, their name is a painful reminder of the loss of HMS Sheffield and SS Atlantic Conveyor. Furthermore, they confirm the view, shared by a growing number of people, of Spain as a rogue state, a pariah country called by some “Europe’s North Korea”. Thus not only the United Kingdom, but also other countries, may press Catalonia to take over some weapons in order to prevent them ending up in the hands of potentially hostile powers. 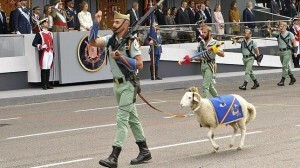 Finally, the ongoing Spanish campaign against Gibraltar, whose population has repeatedly refused to join her, the recent claims against Portugal concerning the Savage Islands (which Madrid claims are not true islands under UNCLOS and thus give rise to no EEZ), and Spain’s traditionally anti-Israel posture, means that not a few maritime democracies would prefer to see certain weapons systems in Catalan, rather than Spanish hands. Needless to say, that would also mean reinforcing overall NATO capabilities. Therefore, while making it clear that Catalonia cannot simply take over a certain military asset just because Spain cannot properly maintain it or because Madrid may transfer it to a fellow rogue state or employ it against a maritime democracy, it is necessary to take into account these factors and the resultant pressure from the international community. Our Armed Forces will not be reborn in a vacuum. The case against: starting on a strong, modern, footing and avoiding preparing for yesterday’s wars. Creating a new state is no minor feat, nor is it providing for its defense. This issue, and specifically the material required, must be seriously thought out. It seems logical to say that a proportional share of Spain’s military hardware belongs to the Catalans, however, we must take into account other considerations. Which is our strategic framework? What kind of threats are we facing? What materiel can be used by the CDF (Catalan Defense Forces) in their initial stage? The Mediterranean undoubtedly remains the strategic framework for Catalonia, as has been the case for centuries. We depend both on grain and energy imports, and industrial exports. Barcelona, Tarragona and other minor Catalan ports, remain profitable despite the economic crisis. The same could be said about Barcelona’s El Prat Airport. This framework, however, is not free of risks or threats. We can describe the current situation in the Mediterranean as anything but calm. While it is true that a conventional conflict between states is not likely to take place, low intensity conflicts are on the rise, and no less bloody than other sorts. Terrorism, piracy and human trafficking are clear and present dangers today. With this in mind, we must think about how to provide the CDF, including their Navy and Air Force, with the necessary training and equipment. We must also remember that the CDF will go through an initial phase with very limited capabilities. In particular in terms of specialist personnel able to operate certain weapons systems and sensors. For example, while training crews to operate fast patrol crafts can be achieved easily, instructing a competent corvette crew implies several years. In the case of the Air Force, we could find similar examples. Should we become responsible for hardware that hardly fits with the current conflict scenarios? Should we be burdened with maintaining and upgrading equipment which we will not be able to field for years for lack of skilled personnel? My answer to the first question is that we just have to assume the materiel needed for our basic strategic goals. Some of these are obvious: the control of territorial waters and airspace, and no less important securing some training platforms. Regarding the second question, the answer is of course no. A negative fostered by the Catalan need to restore her defense industry. Scrapped both by successive Spanish governments and a lack of courage by several past Catalan administrations, few companies in Catalonia remain focused on the defense sector. The Catalan Navy build-up must be shaped with maritime security in the Mediterranean and strategic mobility in mind. The same can be said about our Air Force, with the addition that it will have an important role as an ISR (Intelligence, Surveillance and Reconnaissance) vector. We have the opportunity to start on a new path, without heavy baggage. We can create the Catalan Defense Forces, adapted to the real threats of our times, operational and deployable whenever required. An institution to serve and protect our people and our allies. Alex Calvo is an expert in Asian security and defense, currently guest professor at Nagoya University. Pol Molas is a naval analyst at the Center for Strategic Studies of Catalonia. One Response to Asset splitting: should Catalonia take over spanish air and naval systems? Or the 3rd option, favored by the majority (though I can’t find the link where I saw that, so you’ll have to trust me): NO ARMED FORCES. There’s no need to have them: they are really only an excuse to develop an arms trade and we don’t want Catalonia to be a gunrunner like Spain. A coastguard, Mossos at the border and handling mountain rescue etc, would suffice.